A recent Google briefing to SMEs provided fascinating insights into online strategy and search performance. Of particular interest was the announcement of changes to the Google search algorithm, the critical importance of having a mobile-friendly website and the implications for your web traffic. 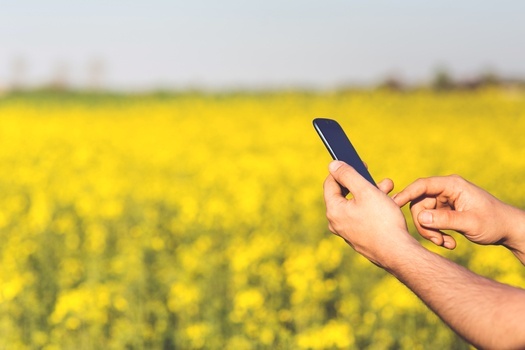 Is your website mobile friendly enough? Recent changes to the Google search algorithm (21 April 2015) mean that mobile-friendly search and usability will now count towards search ranking. Those websites not up to scratch in terms of responsive design or speed will be disadvantaged. The goal is to ensure that users get results that are optimized for their devices. There are 5.4 M mobiles in Ireland and the majority of web search (61%), is carried out via a smartphone or tablet. According to the latest Google statistics, 64% of those who have a bad experience with a site in terms of display or speed are unlikely to revisit. Instead they will check out the competition. It is more important than ever that your website is easy and quick to navigate in a multi-screen environment. Google doesn’t usually announce changes to the search algorithm and particularly not ahead of time. Organisations are being given the opportunity to literally bring their web presence up to speed and action any necessary changes before the April deadline. You can confirm how mobile-friendly your site is by using the Google mobile friendly test. Simply enter your site’s url and a list is generated of any problem areas that need attention. Typical issues include the text being too small, links being too close together or the content being wider than the screen. The tool provides suggestions for improvements and potential solutions that may be worked through with your developer, preferably someone with experience in responsive web design. Google’s announcement will impact where your business appears in mobile search results. An individual’s attention span online is less than 3 seconds, which explains why we get so impatient when a site is slow to load. The speed of your website can be checked using the Google PageSpeed Insights test. Page speed scores register from 1 to 100, with 85+ indicating a page that is working well. Again, the tool provides recommendations for improvements to be worked through with your web developer. Mobile-friendliness is now officially a ranking factor for all websites. Mobile search is growing. You want to be present on all platforms and accessible to all potential clients no matter what screen they are using to search for you. Use these simple tests now to ensure an optimal user experience. Looking for some inspiration? Check out the following 15 examples of great mobile website design. 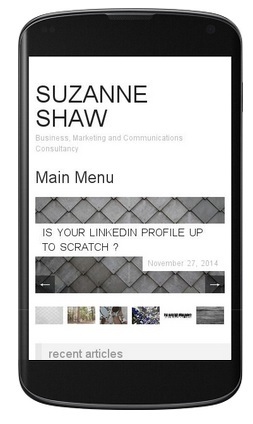 About the author: Suzanne Shaw, MBA, is an independent marketing professional with 20 years’ experience in developing and implementing business development, marketing and communications strategies working in a wide range of sectors and businesses, from startups to SMES and large enterprise.